Rebecca Hazelton is a nutritionist and holistic health coach who works with people whose symptoms have stopped them from fully living. She helps them discover where their best health has been hiding. Learn more about what Rebecca has to offer by clicking the links above, checking out her videos, or reading her books. Growing up with a father who was obese and suffered from many health problems, Rebecca began her personal path to wellness early on: her career as a nutritionist and fitness trainer were soon to follow. Shortly after embarking on her career as a Personal Trainer in 2001, Rebecca’s younger brother died of cancer at the age of 20. This loss led to her own health decline. Through continued education, she was able to regain her health and develop a system to help her clients have unstoppable health. Rebecca is a licensed nutritionist through AHSU/NINE, a Functional Diagnostic Nutrition Practitioner (FDN) through the Functional Diagnostic Nutrition Institute, a Certified Metabolic Typing© Advisor (CMTA) through the Healthexcel system of Metabolic Typing©, Egoscue Method Postural Alignment Specialist, and Certified HeartMath Coach®. 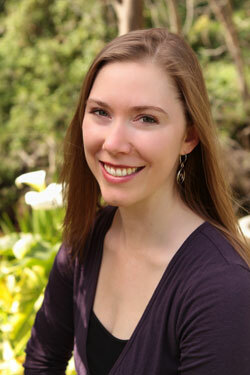 Rebecca is the founder of Functional Health, a holistic wellness coaching business. She helps clients in the Bay Area as well as remotely via Skype with clients across the globe. Rebecca is the author of Choosing Health: A One-Size-Doesn’t-Fit-All Guide to Diet, Exercise & Motivation and Pleasure Meditation: Your Guide To Joyful Stress Reduction. She gives regular health lectures in her community. When she’s not working, she loves to spend time with her family, play outside, dance, read, watch movies, do yoga, and create delicious healthy recipes to share with her family, friends, and community. Customized nutrition plans based on each person’s unique metabolic patterns. Intelligent energy management and stress reduction. Giving clients real life tools to be successful with their diet and lifestyle. Investigating root causes of health complaints (like excess weight, low energy, digestive issues, poor sleep, skin problems, mood imbalance) through functional testing. Her approach to health is that your body was designed to be healthy. If you are having symptoms, there is a reason. Let’s discover what it is!